Move button. 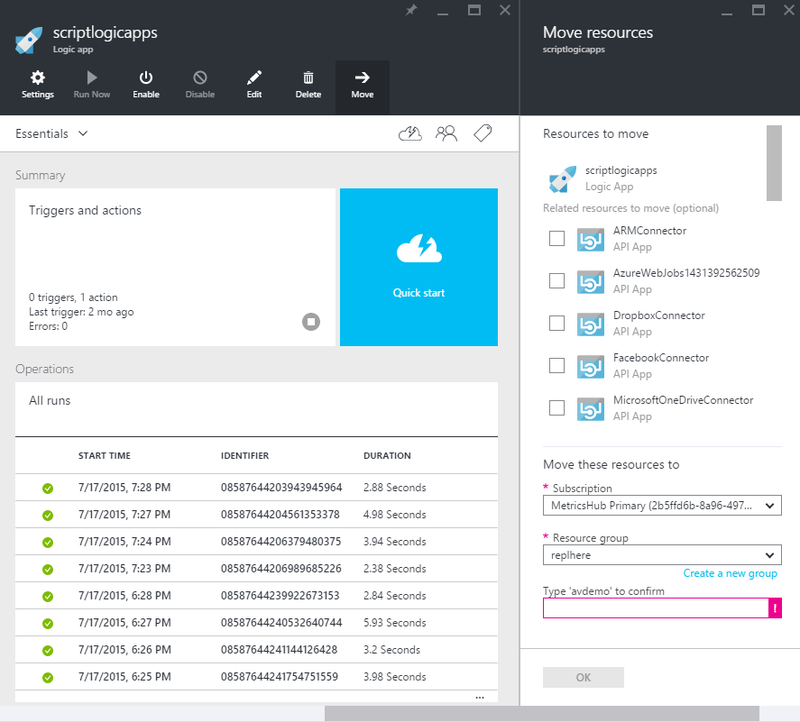 You can change the Resource Group or Subscription that a logic app is part of. Please note that when you move a logic app, its endpoint will change, so you need to update any code that calls it directly. On the Quick start tile, you can see reference material, including a link to the Logic Apps Repositories on GitHub, where we store our community-provided connectors. Language reference and Help in the Logic Apps designer make it easier to get assistance when you're building expressions. For example, you can see that we have a new function called decodeBase64() that takes a base 64-encoded string and returns a normal string. Let us know your feedback on Twitter: @logicappsio.